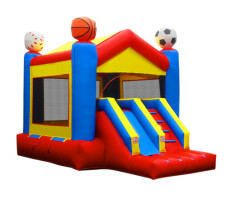 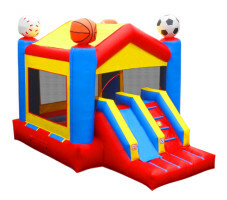 Make your team's end-of-season party a home run with the All-Star Sports Combo bounce house. 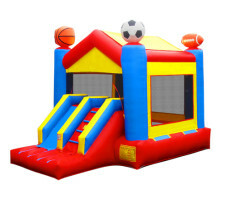 Featuring baseball, football, basketball, and soccer, it's the perfect activity for the time between handing out trophies and chowing down on celebratory pizza. 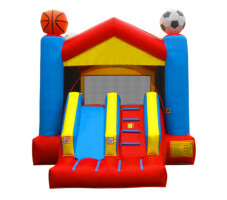 With an inflatable ladder to get inside, and a slide to get back out, this bouncer will keep kids just as active as if they never left the field!